So now we await the Coughlan report. The process has been very unflattering for the renewable energy industry and it will be a long time before public faith in subsidised energy sources will recover. It is vital that future policies are developed which prevent gaming and exploitation of over-generous subsidy regimes and there is a high probability that some form of capital subsidy may re-emerge despite the inflationary impact this always has on the cost of hardware. History shows that the Renewable Obligation scheme had an inflationary impact on hardware prices. 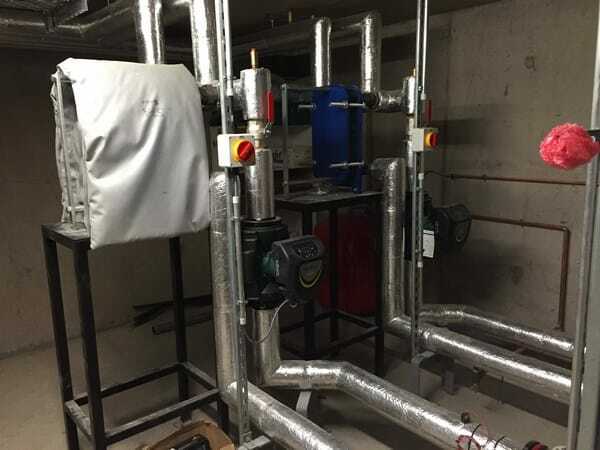 This entry was posted in Biomass on January 24, 2019 by david. 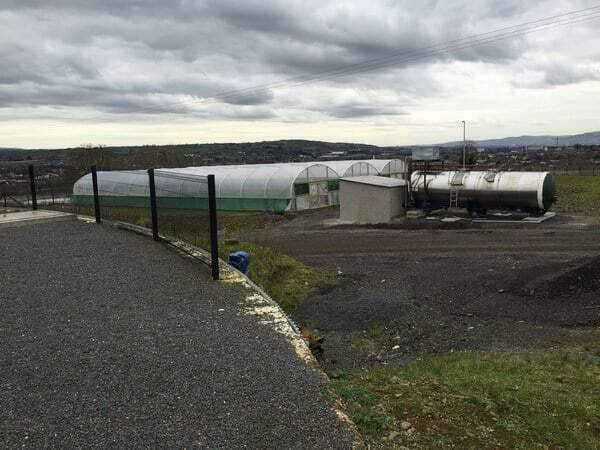 The Carrowreagh Farm Anaerobic Digestion plant, located just outside Belfast on a large dairy farm, supplies biogas to a combined heat and power plant. 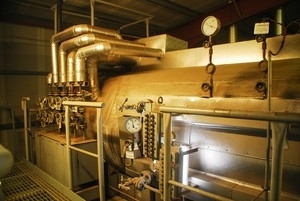 The plant must utilise a substantial proportion of the heat produced from the CHP plant. In order to optimise the heat consumption we were commissioned to calculate the likely heat consumption by a variety of local loads, including several domestic dwellings, large polytunnels for growing chives and commercial buildings. Having established the loads we designed a two leg district heating system incorporating a leg for the polytunnels and a leg for the remaining loads. The entire system is controlled on a demand basis with temperature calls from the polytunnels and time and temperature calls from the other loads. The polytunnel leg incorporates remote thermal storage in the form of a second hand milk tanker to enable energy storage in the event of plant downtime and the ability to mix the temperature down to local distribution temperature requirements. The first phase of the installation is complete, successfully supplying heat to the first polytunnel, maintaining ambient temperatures for growing chives all year round. Our roles: Design, tender & contract supervision, commissioning. This entry was posted in Case Studies on February 26, 2018 by admin. 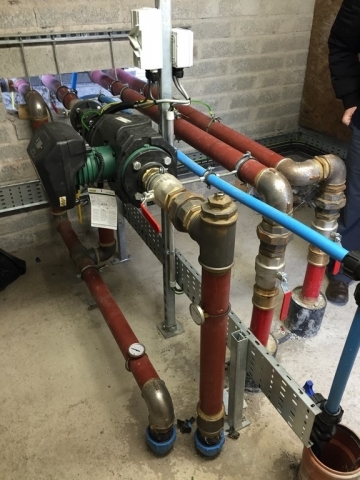 Alastair Nicol BSc CEng MEI (a director of Element Consultants), was called on to give expert opinion on the underperformance of a straw and manure burning system which allegedly failed to meet the performance standards required under Contract. 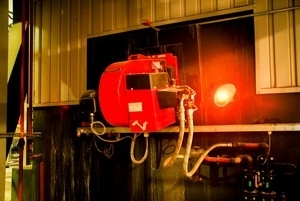 The performance of a manure/straw blend burning system was the cause of concern for the Purchaser who having agreed a performance standard with the Contractor, disputed the performance of the plant. The design was intended to burn a straw and manure mix as a means of heating an equestrian centre. In practice the plant did not achieve the performance required. The dispute between the Purchaser and the Contractor escalated and expert opinion was sought as to ability of the system as designed and installed to meet the agreed performance standards. Alastair Nicol provided an Expert analysis and report with a schedule of documentation, a schedule of assumptions and data he considered to be relevant. The principal difficulty for the Purchaser was the lack of formal Specification and Contract – A failing that was inevitably going to lead to difficulty. The principal failings for the Contractor were a lack of technical knowledge and a lack of Health and safety Knowledge. In both cases the Purchaser and the Contractor had no concept of their respective legal duties of care in respect of Health and Safety. 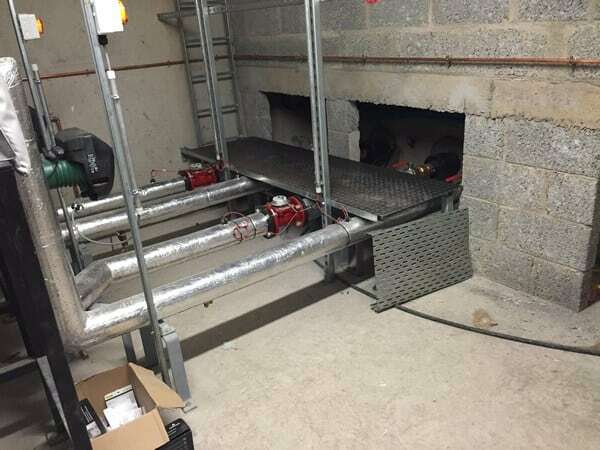 Alastair Nicol BSc CEng MEI (a director of Element Consultants), was called on to give expert opinion on the under performance of a biomass fired timber drying system (English Law prevailing). Alastair was appointed to this formal role under the Civil Procedure Rules Part 35 and associated Practice Directions (MoJ, 2014), where he provided expert and impartial advice to the Court. 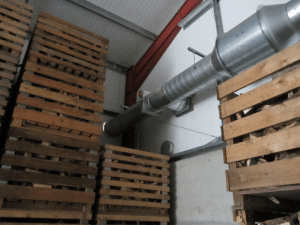 The performance of a Timber drying system was the cause of concern for the Purchaser who having agreed a performance standard with the Contractor, disputed the performance of the plant. The design was intended to dry a specific quantity of timber over an agreed time period, rendering the timber suitable for use as firewood. In practice the plant did not achieve the performance required. The dispute between the Purchaser and the Contractor escalated and expert opinion was sought to assess the ability of the system as designed and installed to meet the agreed performance standards. Alastair Nicol provided an Expert analysis and report with a schedule of documentation and a schedule of assumptions where data he considered relevant was missing or open to interpretation and a statement of truth. The expert report was prepared for the Court and provided these conclusions together with calculations demonstrating the deficiency of the design. Alastair J Nicol provided additional support and explanation for Queens Council during supporting communications. In this case the case was settled out of court with both sides agreeing to absorb some costs. The principal difficulty for the Purchaser was the lack of a formal Specification and Contract – a failing that was inevitably going to lead to difficulty. The principal failings for the Contractor were a lack of technical knowledge and a lack of Health and safety Knowledge. Alastair J Nicol BSc CEng is a professional Engineer with over 30 years experience and has undertaken Courtroom Cross examination training provided by Bond Solon and has provided expert opinion or reports for HSE on Biomass system, Boilers, Smoke explosion. Health and safety in design. Brief description of the Tyrone Energy installation. 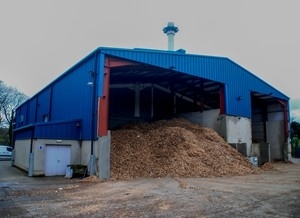 The main purpose of the activities at the installation is the co-incineration of waste wood in a single furnace with a thermal capacity of 13MW. 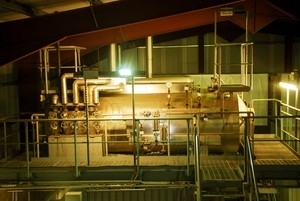 The heat from the combustion is used to produce steam which in turn is used to drive a 2.7MW turbine. Electrical energy is supplied to the grid. The site receives chipped waste wood to site via tipper truck. 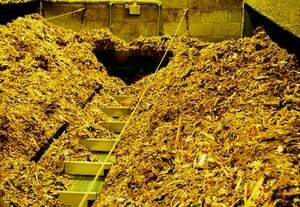 The waste is stored in dedicated bunkers that feed the furnace via a walking floor arrangement and then augurs the wood fuel to a moving stepped grate furnace. As the waste is moved along the grate air is added to aid combustion. The waste is burned to ash as it travels the grate. Ash is collected and stored in dedicated skips. The ash represents 1 to 5% of the initial fuel mass. 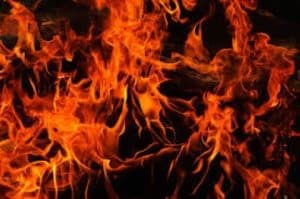 As the waste burns combustion gases are released. These gases pass into a secondary combustion zone. The gas in the secondary combustion zone is maintained at a minimum of 850ºC for 2 seconds. This ensures complete combustion, and destruction of substances such as PCBs, dioxins and furans. 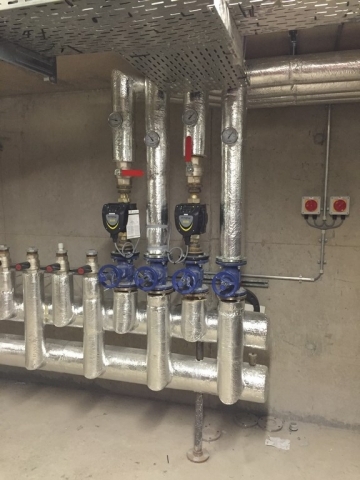 Auxiliary burners are fitted to ensure the secondary combustion zone is maintained at 850ºC. The plant has also been designed to ensure a residence time of 2 seconds. 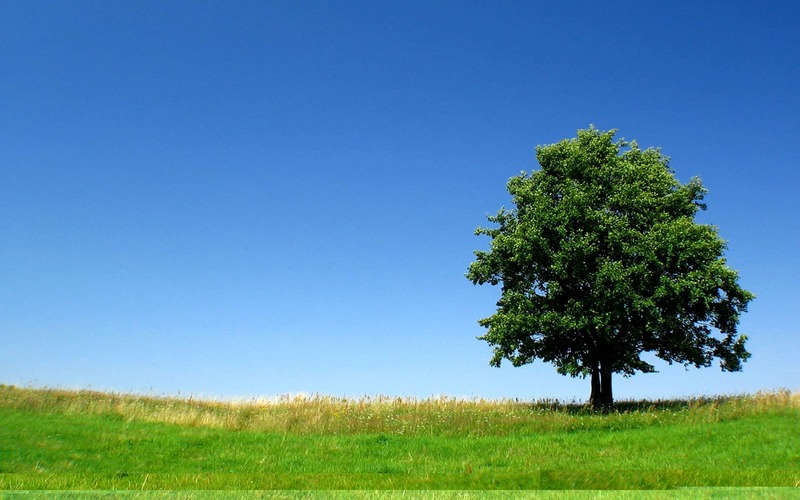 The residence time and temperature will also be subject to validation once the plant is in operation. 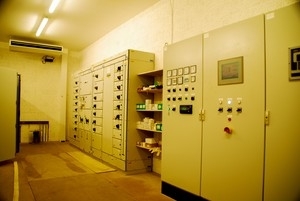 The combustion process is continuously monitored and controlled with the aid of computerized system control and data acquisition (SCADA) system and attendant operators. Waste feed interlocks prevent co-incineration during start-up and shutdown, abnormal operating conditions and times when temperature falls below 850 ºC. These interlocks are incorporated into the plant design and operation, and specifically required by conditions in this permit. 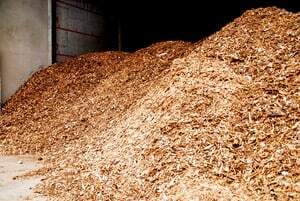 Heat from the combustion of the wood waste is recovered via a multistage super-heater and boiler to produce high pressure steam. Some of remaining heat in the flue gas is recovered via a flue economizer which preheats water feeding the boiler. 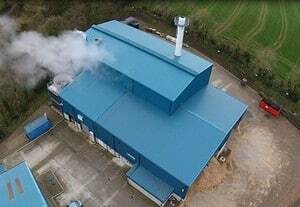 The steam is used to drive a multistage turbine, which generates 2.7MWe of electricity for supply to the grid. Gases from the combustion of the waste wood require cleaning to comply with the emission limits of the Waste Incineration Directive. The cleaning process involves the injection of an urea solution to reduce nitrogen oxides to elemental nitrogen. A cyclonic separator then removes a portion of particulate matter. Flue gases are then injected with an alkaline powder that neutralises acid gases such as HCl and SO2. Activated carbon powder is also injected at this point to capture heavy metals, volatile organics and other substances such as dioxins, furans and PCB’s. Particulate matter is then further removed from the flue gas by a high efficiency bag filtration system. After filtration the flue gases are either released to atmosphere out a 25m stack or recirculated back to the primary combustion chamber to reduce the formation of nitrogen oxides. 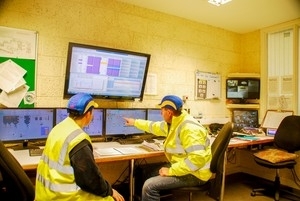 Before exiting the stack the combustion gases are continuously monitored for a number of parameters to ensure compliance with the Waste Incineration Directive. The plant is required to stop the co-incineration of waste if the emissions exceed the limits specified in this permit. 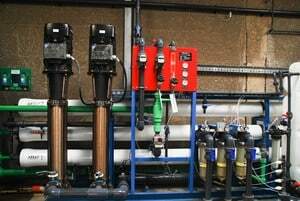 The water used to produce superheated steam requires a high level of purity. The water is sourced from the adjacent river. 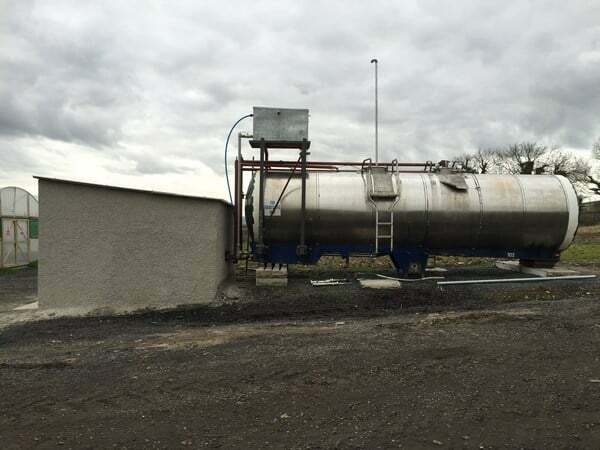 The resulting waste water from this treatment is a concentration of the dissolved and suspended solids from the river with no significant reduction in oxygen or rise in temperature, which is returned to the river. 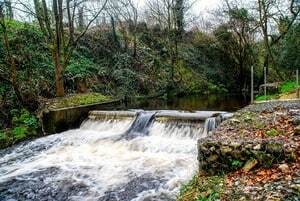 The temperature, residual chlorine and conductivity of the discharges to river are continuously monitored to ensure compliance with the limits specified in the permit. To increase the efficiency of the turbine a vacuum is created by condensing the steam as it exits the turbine. River water is extracted and used indirectly for cooling and thus condensing. The evaporative cooling tower is again used to expel heat to atmosphere before returning water to the river. 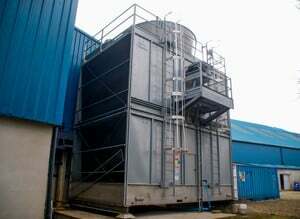 To prevent the growth of pathogenic organisms such as legionella, chlorine dioxide biocide is added to the water in the tooling tower. 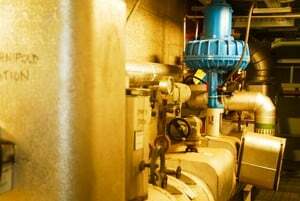 Chlorine dioxide is sparingly added to the cooling tower water and any residual is removed before discharge. 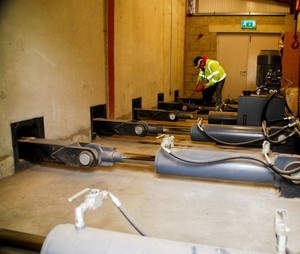 Continuous monitoring instruments are fitted on the final discharge to the river. whether there is any evidence of heat being wasted. 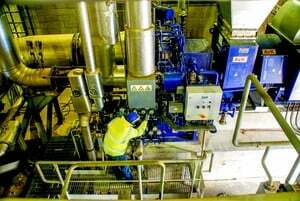 if the energy management practices in place conform to industry standards and best practice. This entry was posted in Compliance on August 30, 2017 by admin. Further to our original briefing, the original tender issued by the Department for the 100% inspection of boilers was clear in its purpose but the Department did not award a contract as a result of that tender. A new tender is likely to be issued. It seems very likely that the department will pursue suspected misuse, ineligibility or failure to observe energy efficiency best practice within the Non Domestic scheme including excessive heat consumption or inappropriately made application e.g. predominantly domestic schemes. In the context of energy efficiency, compliance with best practice is a stipulated RHI requirement and that is fundamentally demonstrated by specific energy use e.g. energy use in relation to floor space (kWh/m2) or a similar benchmark. It does not take a great deal of imagination to see that excessive consumption would merit a much higher priority inspection and scrutiny and, indeed, it would be then ultimately the participants responsibility to prove their compliance and continued eligibility to the Department. Perhaps obviously, as well as having a justifiable energy consumption, the participant will need to have a ‘clean’ installation in terms of the Ofgem application and actual installation to prove their compliance. This entry was posted in Compliance on May 19, 2017 by admin. Are you in the RHI Non-domestic scheme? Do you know that you are now going to be inspected this year (100% of installations are). If you fail your inspection your payments may be stopped or they may even ask you to repay some of your RHI income. As part of our audit we will provide you with a compliance report which will give you confidence that when the inspection comes, you will be in a good position. This entry was posted in Compliance on March 17, 2017 by admin. 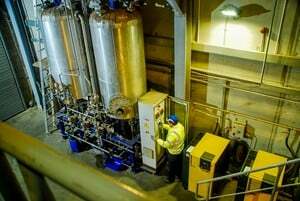 Energy costs for water treatment in Northern Ireland top £25 million p.a. Ensuring that NI is at the forefront of knowledge and understanding in allied water treatment technology is of vital importance. Alastair Nicol has initiated a pan-European academic collaboration for supporting and underwriting Invest Northern Ireland’s valuable programme within the wider water industry. The academic collaboration of universities and colleges from Northern Ireland and the ASU in Kaunas, Lithuania is an academic collusion that will see a wealth of academic, educational and agronomic research benefiting both countries. The basis of collaboration will focus on the digestion of sewage and sludge for biogas generation and grid injection. This entry was posted in Biomass, Projects, Waste on October 17, 2016 by admin.